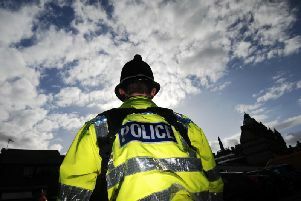 Calls are being made for more police resources to crack down on “a rise in crime” in the Ribble Valley. The leader of Ribble Valley Borough Council, Coun. Ken Hind, believes there’s been an increase in rural crime in recent months due to a number of reasons. However, a superintendant has stressed the Ribble Valley has a “dedicated and strong” policing team, while Labour officials have accused the local Tories of being “hypocrites”. Coun. Hind said: “Crime has increased by 31.22% over the last year in the Ribble Valley as the police commissioner strips out resources from the rural areas to transfer to urban areas. Responding, Supt Russ Procter, of Lancashire Constabulary’s East Division, said: “Ribble Valley has a very dedicated and strong local policing team supported by response teams from across the East Division.